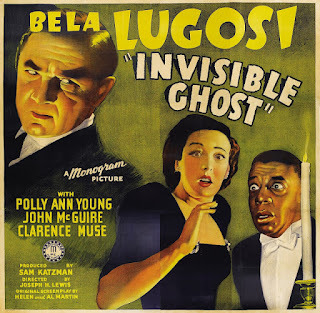 April 1941 saw the release of Bela Lugosi’s first film in his infamous Monogram Nine, under the title of Invisible Ghost, the opening salvo in an extinguished burst of films made with producer Sam Katzmann who in all fairness was something of a lifeline for Lugosi. 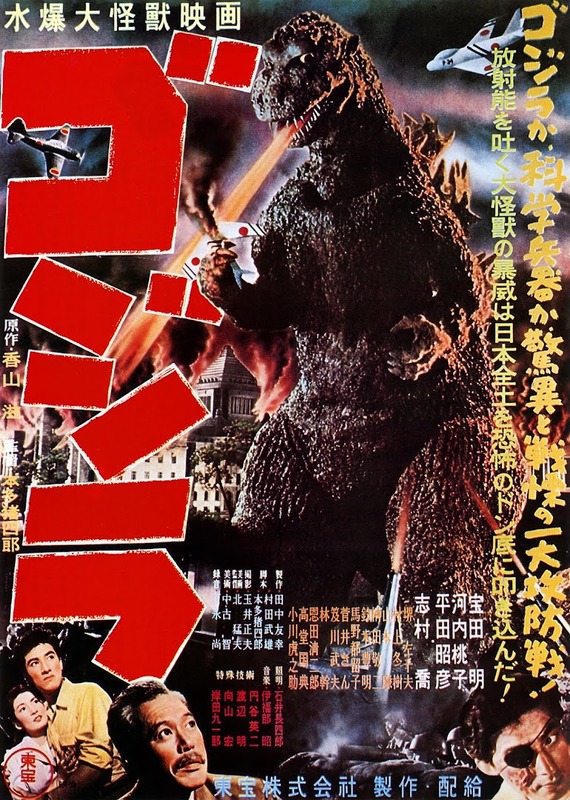 The incoming gravy train of the horror movie revival had engulfed him in smoke as it blew by. He had assumed that with his competitor Boris Karloff heading to Broadway for the great stage success of Arsenic and Old Lace it would clear the way for him to take over, but it was not to be. Instead, the younger new star Lon Chaney Jr was hoovering up all the great roles the hungry Hungarian pursued, such as The Wolf Man, leaving him no better off than before and forced to accept Poverty Row’s mostly embarrassing offerings. 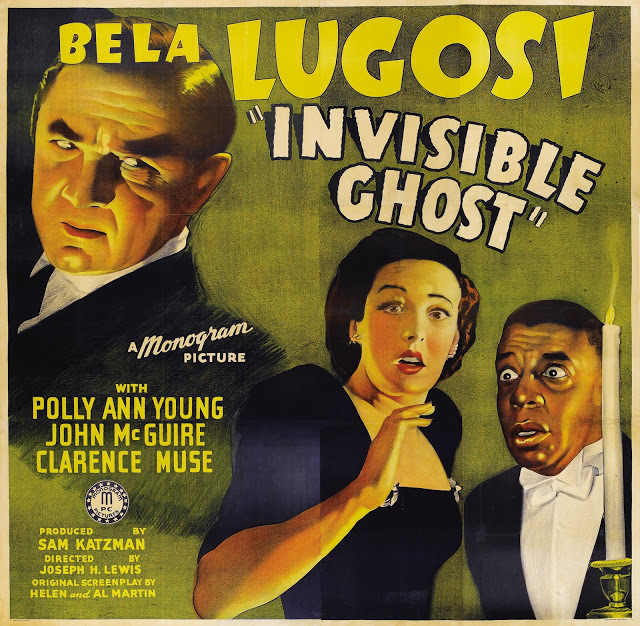 Invisible Ghost was directed by future film noir B-movie helmer Joseph h. Lewis and written by husband and wife team Al and Helen Martin. 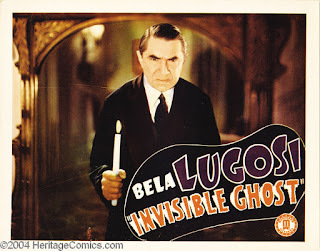 The result is at least a curio of minor interest in that Lugosi is allowed to play for our sympathy as much on-screen here as off. He plays Charles Kessler, a poignant soul still carrying a torch for his unfaithful wife (Betty Compson) despite her disappearance after a car crash shared with another lover. He has his butler Evans (Clarence Muse) set out a place for her at meal times and talks to her portrait as though she will return with her infidelity forgiven. At least one of the two men has retained all his faculties: Muse was one of the few black actors allowed to play a horror movie domestic employee with impressive dignity instead of saucer-eyed, dumb cowardice. His busy career included a ground-breaking theatre stint with producer Robert Levy of the Lafayette Players who featured him in a stage version of Dr Jekyll and Mr Hyde, persuasively justified by him in the social context that “"…it was every black man's story. Black men too have been split creatures inhabiting one body." Kessler exhibits unwitting signs of split personality himself caused, it appears, by his wife. He doesn’t know that she is not dead, but hidden away and cared for by his gardener Jules (Ernie Adams) in case her brain damage is temporary and they can be reunited. This appears an unlikely possibility as she is a haunted, confused shell of her former self. Kessler’s undying loyalty would get even less joy from their reunion if he understood that regular sightings of her wandering in his garden send him into a supernatural and homicidal trance acted out on unfortunates within his home. Someone else who seems to be in an altered state is handsome romantic lead John McGuire who doubles as Ralph, the fiancé of Kessler’s daughter Virginia (Polly Ann Young), and his mysterious twin brother – mysterious in that he is tepidly unconvincing as the former and yet somehow more at ease entering as the grey-templed latter (after Ralph is executed for one of Kessler’s somnambulistic slayings) – like a PC that works better after a reboot. He also maintains an enigmatic air by never saying his name, preferring to tell everyone “I’m Ralph Dickson’s brother”. At least Lugosi has read the script enough to call him Paul later on for our benefit. Lugosi’s performance largely gets by on a low-wattage, warm geniality through Invisible Ghost. This is often punctuated though by sabotaging scenes where he is required to undergo his hypnotic murder state upon seeing his wife. He grimaces mildly and then sleepwalks in a peculiarly stiff manner on the way to dispatching his victims, one of whom, poor altruistic Jules, is oddly strangled by a coat thrown over his head. (Asphyxiating someone with a thick coat tourniquet can’t be an easy business even for a fully conscious killer). No matter, because fortunately for Kessler George Pembroke’s police Lieutenant Williams seems to have been recruited from the Amateur Dramatic Precinct. As if hastily costumed and shoved on set, (Monogram had reputedly only assembled the supporting cast the day before filming commenced), he arrives with a playbook performance almost fully embodied for him by a clichéd trench coat, fedora and a prop cigar permanently slotted in his mouth - to run an ineffectual Agatha Christie-style drawing-room interrogation. “There’s nothing less sentimental about a house where anything could happen and usually does”, he helpfully informs Kessler. Leaving aside what constitutes normal and insane, amidst the film’s acting eccentricities, there is also the unintentionally amusing camera placement that keeps drawing attention to itself rather than blending into the piece. Director Lewis had already gained the nickname ‘Wagon-wheel Joe’ for his odd choices, and here he has a field day by repeatedly filming the library scenes with the camera shooting from behind the fireplace’s flames, which gives us the strange, unnecessary feeling of being voyeurs spying from a hazardous position. The smothering of the maid Cecile (Terry Walker) who had been blackmailing Ralph is filmed from her point-of-view in her bedroom, which affords us more unflattering sights of Lugosi emoting awkwardly. Speaking of which, the morning discovery of her body will certainly challenge the intrepid Lieutenant Costume - Evans finds her dead with the radio on. The room was quiet when Kessler murdered her, so who switched it on? Did Kessler tune in after Cecile dropped out? Fans of movie mistakes should look out for the ‘dead’ body of Detective Roy as he falls from behind the curtain. Prodigious screen veteran Fred Kelsey even works hard when he’s a corpse – as he topples over, his eye-line can’t resist switching to the ground. 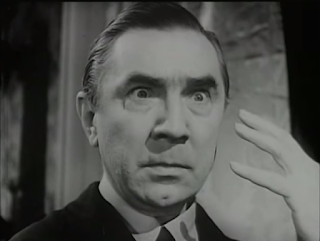 The most uncomfortable reaction shot sadly is by Lugosi, saved for the climax when his wife finally joins him in the same room. At the sight of his long-lost beloved he blinks and raises his eyebrows as if shown a groovy card trick. “I’m dead, Charles. Do you hear me? Dead”, she intones before proving that for good. Everyone at last witnesses the real killer, Kessler, triggered into homicidal hypnosis. There then follows a nutty sequence in which the cops track him down the corridor till he suddenly turns and springs at Williams as though playing Grandmother’s Footsteps. Once collared, it only remains for Kessler to take solace from beyond the grave: “I knew you’d come back”, he coos to his wife’s portrait. “Nothing can part us now, my darling”.